​Who we are, what we do and why we do it. 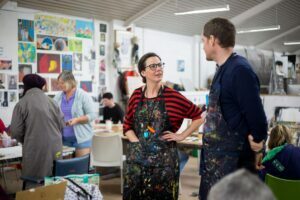 We are a centre of excellence that supports artists with an intellectual disability, to promote their work and advocate their inclusion in contemporary art practice. Arts Project Australia has aimed high since 1974 when we set out to lead and innovate in the arts and disability sectors. Since then, the quality of our exhibitions and artwork created in our studio has flourished, fed by a range of innovative programs and activities. We were the first full-time art studio in Australia for artists with an intellectual disability and have built a reputation both in Australia and internationally for our achievements on this front. Proof lies in the consistency and quality of the exhibitions and programs that we produce and deliver, along with the extraordinary opportunities and experiences we have brokered for our artists. They have been included in exhibitions all over the world and are represented in countless public and private collections. > For more information visit ‘Our History’. 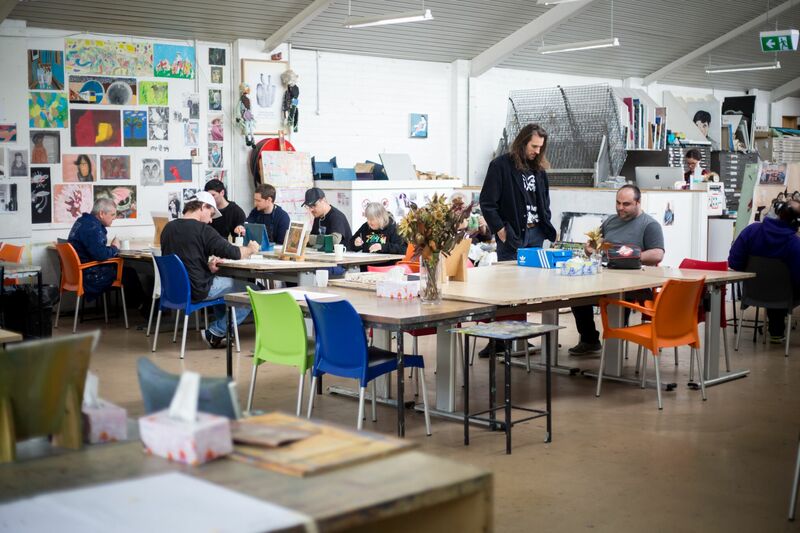 Our Northcote studio is attended weekly by 130+ artists with an intellectual disability. Here, they are able to develop their own practice while supported by our professional staff artists. This is a space where feedback, guidance, and critical advice encourages each and every artist to find their own authentic voice. Art is not taught. Instead, we foster and nurture the creative direction of each artist to elicit works of personal meaning and style, whether in painting, drawing, ceramics, printmaking, 3D sculpture, and digital media. Our gallery staff plans a full annual program of exhibitions that feature artists’ work alongside that of the broader contemporary art community. > For more information visit ‘The Studio’. Our gallery in Northcote presents professional, curated exhibitions that showcase the work of Arts Project Australia emerging, mid-career and established artists. 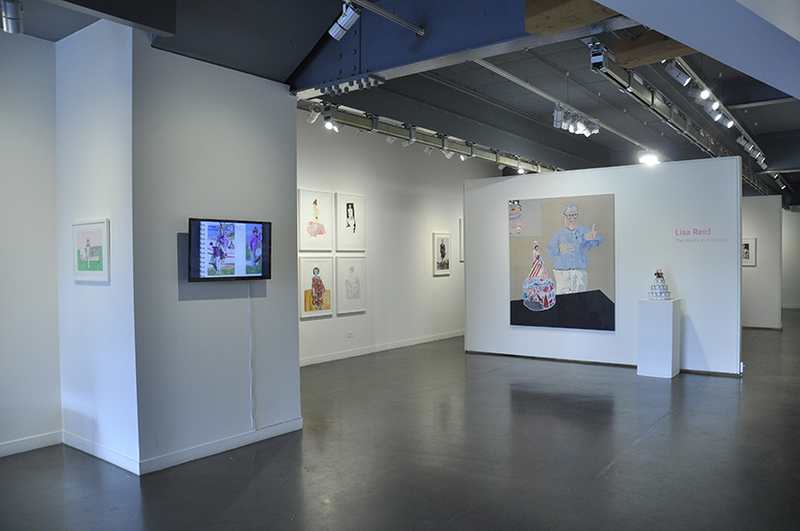 Arts Project presents 13 solo and group exhibitions a year in our gallery, with two exhibitions a year curated by prominent and recognised national and international curators, who place work by Arts Project artists alongside the work of their contemporaries. The gallery includes an exhibition space and stockroom, which houses current and past artist’s work. The gallery team provides ongoing support and mentoring to curators and artists and assists artists with professional artwork storage, CV and biography development, pricing of artwork, documenting artwork, maintaining artwork image libraries and mentoring to curate exhibitions. The staff also brokers sales with clients and collectors, runs an artwork leasing program, submits artists into national and international exhibitions, art prizes and awards. Outside of regular gallery hours, the gallery space can be hired for private events and functions including birthdays, launches weddings and more. > For more information visit ‘The Gallery’. We boast a highly qualified team of staff, an energetic and committed board who work within a strong governance framework, and ongoing volunteers. The unique vision displayed in our programs and our dedication to showing this work to Australia and the world has long been recognised as a best practice model. We are very proud to remain committed to providing scope, vision, and support for our artists. > For more information visit ‘Our Team’. As a leader and innovator in the arts and disability sectors, Arts Project Australia is continuously awarded for supporting studio artists. 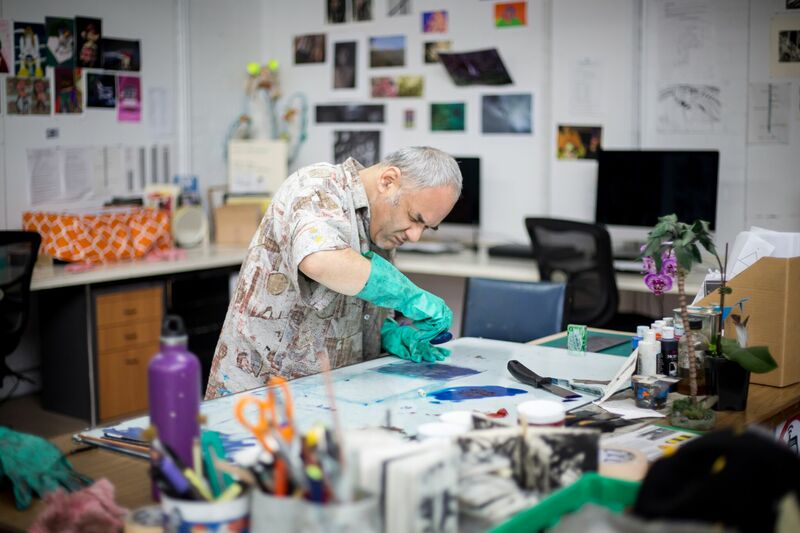 For over forty-four years Arts Project Australia has supported the artistic aspirations of artists with an intellectual disability. ​Arts Project Australia is proud to engage a highly qualified team of staff and volunteers who support, promote and advocate for our artists. We highly value the contribution of our volunteers, student placements and interns who assist us in the studio, gallery, stockroom and at events. We really love our supporters and partners. They assist us across everything we do to create a dynamic space for our artists to create, exhibit their work and develop their practice.